Mt. Juliet, TN…September 7, 2012 – Altus flutes, known worldwide for its high quality, hand crafted flutes, proudly introduces two new Azumi Flute models for the advancing player featuring the “Z Cut” professional Altus headjoint. The AZ2 and AZ3 models will be available in October. The Azumi AZ2 features a Sterling silver Altus Z cut professional headjoint which responds quickly and easily and produces a full, rich tone. The body and keys are silver-plated. Available options include inline and offset G key configurations as well as offset G with split E mechanism. The Azumi AZ3 also features the Sterling silver Altus Z cut professional headjoint, on a sterling silver body with silver-plated keywork. Available options include inline and offset G key configurations, offset G with split E mechanism, and a C# trill key. Keeping with the tradition of Altus’s commitment to creating the very best in flutes, Azumi offers the pre-professional the opportunity to purchase a well- designed Sterling silver flute with a high-end brand headjoint at a remarkable value, making it the best deal in this newly defined market. 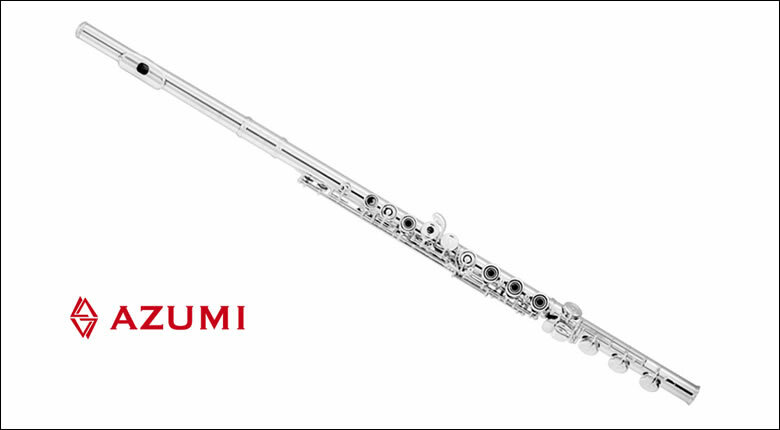 Designed by Altus creator Shuichi Tanaka, Azumi flutes are a perfect fit for the serious student and aspiring flutist. quickly and easily and produces a full and rich tone in all three registers. The Z Cut headjoint features a rectangular cut providing the player a quick, free response, more tone throughout the registers and a wider embouchure hole to accommodate a variety of embouchure shapes. This headjoint, coupled with several standard features, including a B foot, gizmo key, open holes, and pointed key arms make itexceptional in its price range. “The professional features including the Altus headjoint are rarely seen on flutes at the intermediate level” says Liz Pritchett, Altus Sales Manager. “This instrument is a great way to fully experience the performance and playability of a professional flute within the budget of an intermediate flute”. Altus Flutes is a respected maker of handcrafted, flutes of the highest quality. Altus is recognized internationally for its superior craftsmanship and superb innovation and has quickly become the flute ofchoice for many educators, performing artists, and orchestral professionals.